My house the trading post, today is a stage for Bob, and I. While I, make visitors feel welcome with a batch of home-made cookies, Bob, entertains them with his “licks” on the guitar. In 1967, Bob was part of a band called, The Horde. The Horde recorded a session in Durham, North Carolina while in college. That album was recently re-released this past summer. 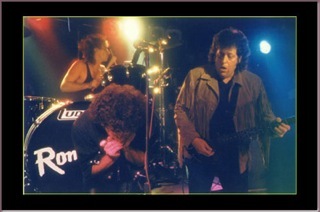 The band played gigs at numerous universities. They have been called the most exciting mid sixties garage band to ever be discovered. They starred at the usual teen dance clubs, Fraternity parties, and Student Union dances. The played songs like, “Paint It Black.” Which starts with Bob playing the guitar solo. The guys were considered hippies, traveling all over the place playing the ‘British invasion’ influenced music. They liked the raw in your face blues, filtered through British pop. After the demise of the band the group went their separate ways. 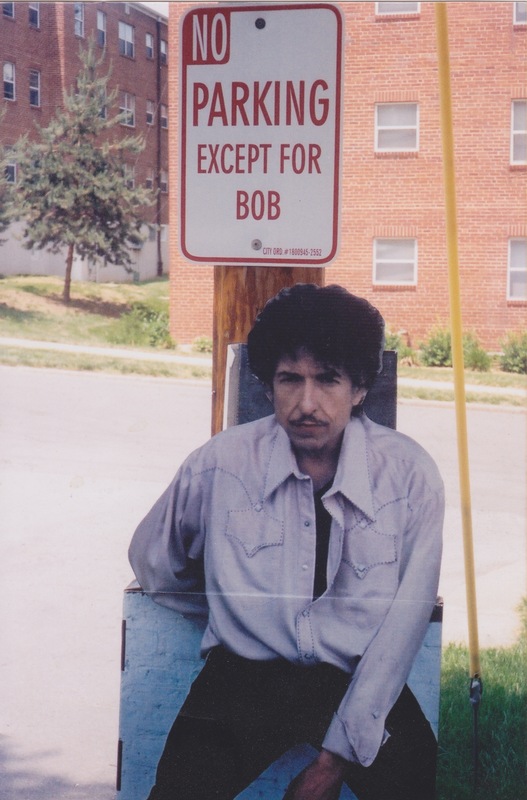 Bob graduated from college and went to New York to go to Columbia University Law School and later to Cambridge University, England. He now practices criminal law and family law. He continued to play rock and roll and other music venues through the years. He had a band once called the, “Bell Street Blasters.” With the Bell Street Blasters he played theater and stadium level gigs appearing in shows with B.B King, Johnny Winter, Stevie Ray Vaughn, Ray Charles, and others. Press Buttons Firmly, by The Horde, Vinyl &CD. During, the past summer, twenty-five brand new vinyl, The Horde, albums arrived, with two-dozen CD’s. They sit behind the display counter in Bob’s law office. The album’s public recognition is a little late, only forty-six years, too, late. 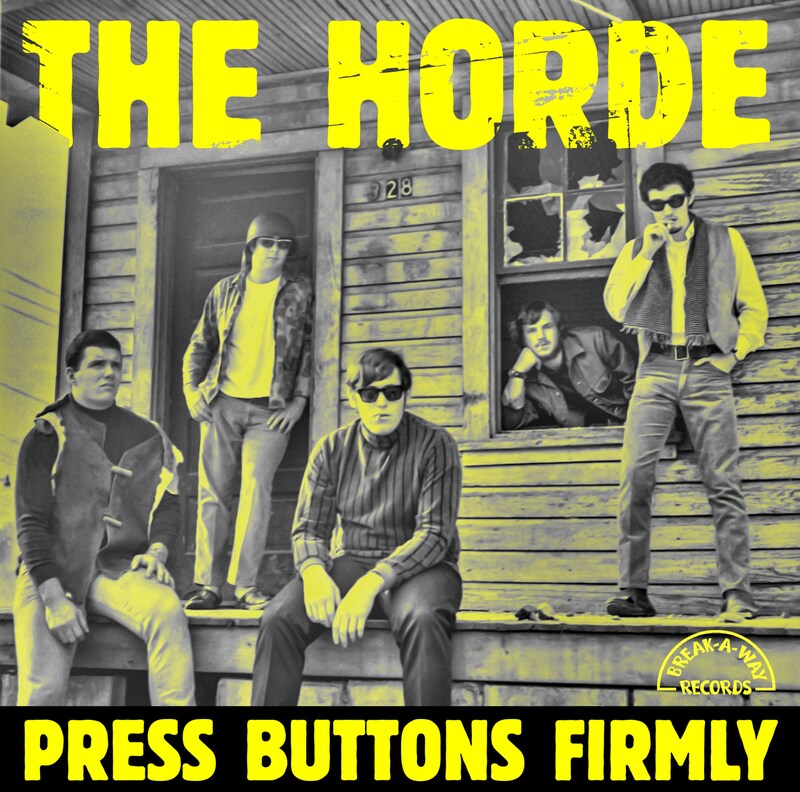 Very, very few people out there are buying the Horde’s album, “Press Buttons Firmly.” A song titled after the guys noticed the message on the juke box in a tiny coffee shop on campus. The Romantics. Bob, pictured on right. North Carolina, in the sixties, was the deep south. The music the Horde’s were playing didn’t live up to the soul music country’s expectations. 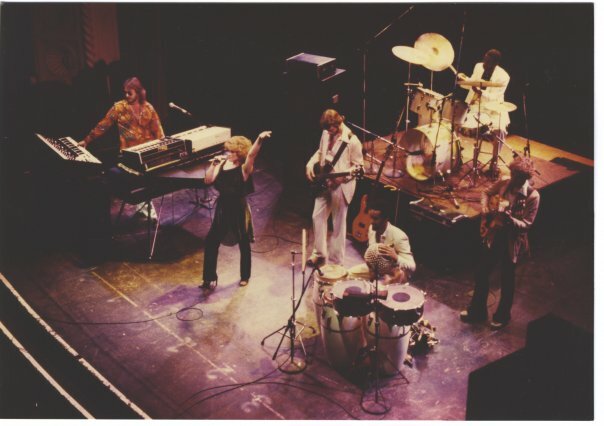 Bob and the band members, complained that the crowds constantly requested the song, “Stubborn Kinda Fella.” An incident the guys still talk about, is when a group of frat guys got fed up with the hippy band, and headed for the stage. Their drummer stared the angry mob down as the rest of the guys escaped. Take the time to listen to The Horde’s songs, amazingly good. Max Groove and Bob Simons appearing at JAZZ on 39th and State Line Road. 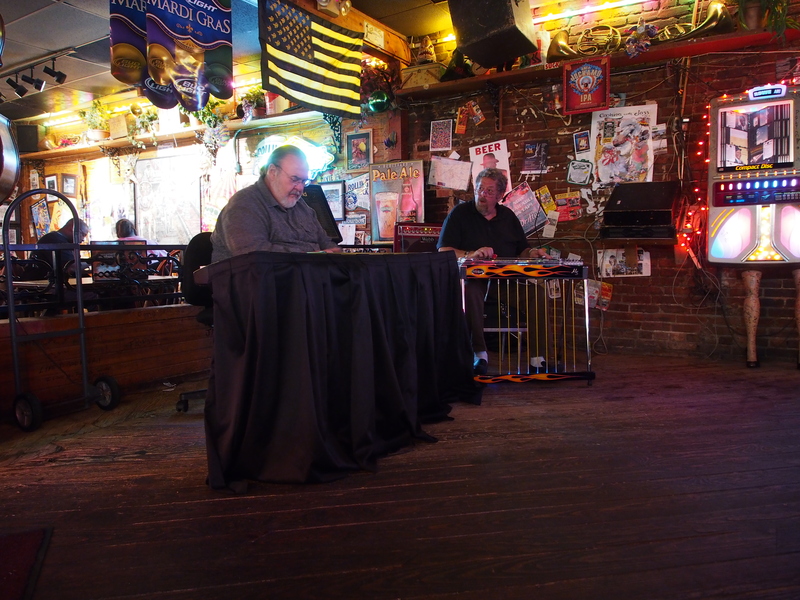 Today Bob plays jazz and country gigs on pedal steel guitar. He has been appearing in duos with Billboard charted jazz keyboardist Max Groove. Together they play Jazz R&B or original New Age Jazz. He is a talented musician who mostly jams with friends. The original 1967 -record of The Horde last sold on ebay for $1800. There are only 25 copies of the original studio recording. The new album is also available on Amazon for just, $23.99. The routine at the house includes watching X-Factor. Tonight, like many other nights, I was enlightened by a brief music history lesson given by my husband Bob. Now mind you, I have heard of none these individuals or the songs. The song, ‘Hallelujah’ was song by a contestant on tonight’s X-Factor, a televised talent contest. Leonard Cohen, a musician in the Music Hall of Fame who also received three Juno Awards nomination, got his start in the music business in 1967. Cohen is credited as the singer and composer of ‘Hallelujah.’ One of his earliest hits was with folk singer, Judy Collins, for the song, ‘Suzanne.’ Bob made me watch a YouTube video of this act (while I was trying to enjoy the X-Factor show). In 1967, Cohen moved to the United States to pursue a career as a folk music singer and songwriter. During the 1960s, he was part of the Andy Warhol’s “Factory” crowd. According to Wikipedia, Andy Warhol speculated that Cohen had spent time listening to Nico in clubs and that this had influenced his musical style.” His song ‘Suzanne’ became a hit for Judy Collins and was for many years his most covered song. His song, ‘Hallelujah’ found greater popularity through a cover by John Cale. The New York Times praised the song ‘Hallelujah’ in a review, noting that “Cohen spent years struggling to write the song ‘Hallelujah.” Many singers have covered versions of the song. There are over 300 versions known. It is often called one of the greatest songs of all time. John Cale was a member of the Velvet Underground, an American rock band, active between 1964 and 1973. The band was part of the first real scene of the high literature culture of Andy Warhol. 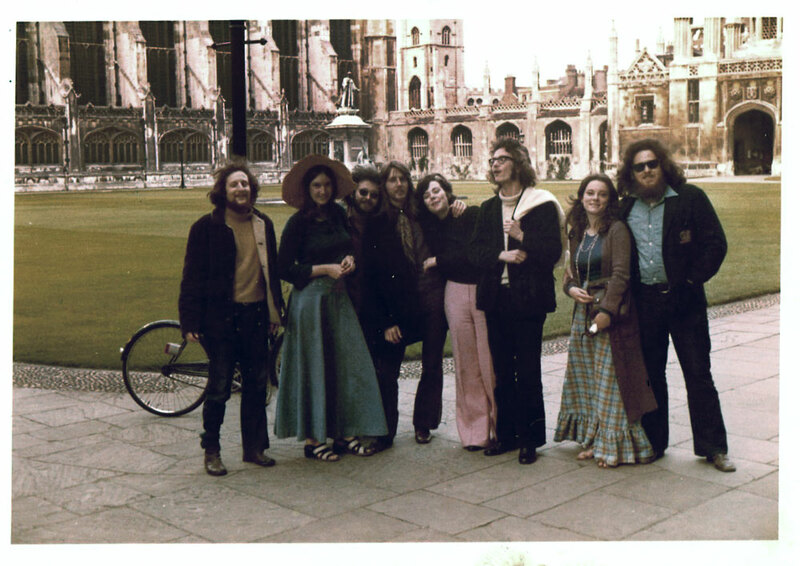 These people were the hippest of hipsters. The Velvet Underground was formed in New York City by Lou Reed and John Cale. I believe, Nico was also a singer and songwriter for the band. 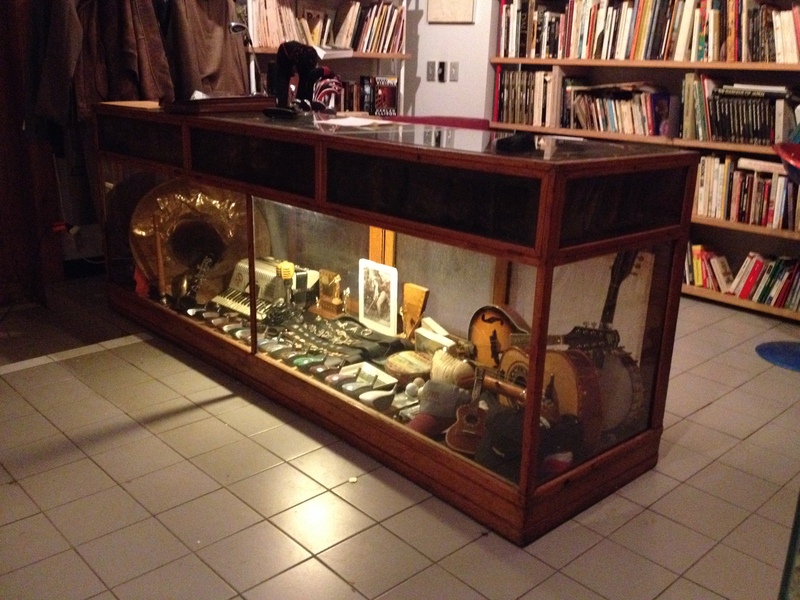 Lou Reed was a frequent performer at ‘The Factory’, a studio owned by Warhol. Andy often asked his assistants to help set up parties, which were groundbreaking assemblies of musicians, artist, hipsters, gay partiers, and drug addicts. The rented studio apartment in New York’s grubby 60’s neighborhood pre-dates the Studio 54 era. Bob tells me this, but as I always lived in the Midwest, and really don’t have a clear conception of Studio 54 either. Bob says that Andy Warhol supported the music of the Velvet Underground and this influence started the avant-garde craze. Avant-garde is a term used in the fashion world, and when describing something that is ‘cutting edge.’ Andy Warhol designed the cover of the first album for the band, a banana. That banana is one of Andy Warhol’s most recognized artworks. It became the most popular album cover art of all time. Lou Reed went on to write a song in 1972, called “Walk on the Wild Side” on his second solo album Transformer. Lou Reed had performed at Max’s Kansas City in New York and Studio 54, two of the most famous and treadiest clubs in New York. Leonard was famous for his poetic song lyrics, ’Suzanne.’ Like singer songwriter, Bob Dylan, he was the poet of the time. The song contest show X-Factor, has enlightened me to the history of old songs. From my husband Bob, I learn that he is often irritated that shows like X-Factor don’t actually acknowledge the cover songs properly. The old songs are, too often, credited to modern singers, like Mariah Carey, or to the last pop singer that sang the song. Passive television viewers, like myself, pay no attention to the originality of a song or who composed it. I usually don’t even have an opinion as to who sang it best. While I watch television, I’m thinking, the judges are babies. The female judges on the X-factor wear a lot makeup. They represent youth and have a good game for knowing their own limitations and their wealth hides any immaturity. Simons Cowell has matured and he has been less critical of the young singers. The whole time I am unable to actually hear the girls and boys sing on the show because in the background my darling husband, Bob has picked up the acoustic guitar and plays. Singing songs like ‘Wild Wood Flower.’ A song, I never heard before. He says it is the greatest country song ever. I’ve heard it before, only ‘cause he sings it whenever he picks up the guitar. He knows other songs, and I like other songs, but that’s not what he plays. I like when he plays ‘Greensleeves, or Jonny Cash’s, ‘Ring of Fire.’ My Lutheran upbringing loves to sing hymns like, ‘What Child is This,’ during the Christmas season. I happen to know Mary J. Blige is not the original composer of that song. Once, Bob and I, recorded, ‘Ring of Fire,’ for our grandson, Eddie. On one of those recordable page books. Eddie, loves to turn the pages of the recordable book and listen to gran-ma and pawpa sing various folk songs. If you’d like, I’d be happy to make you a book; just let me know. We have a few for sale. Typically, I don’t sing in public. However, I did sing in my high school choir. I have also, been known to take a shot of tequila and do a little goofing around singing. 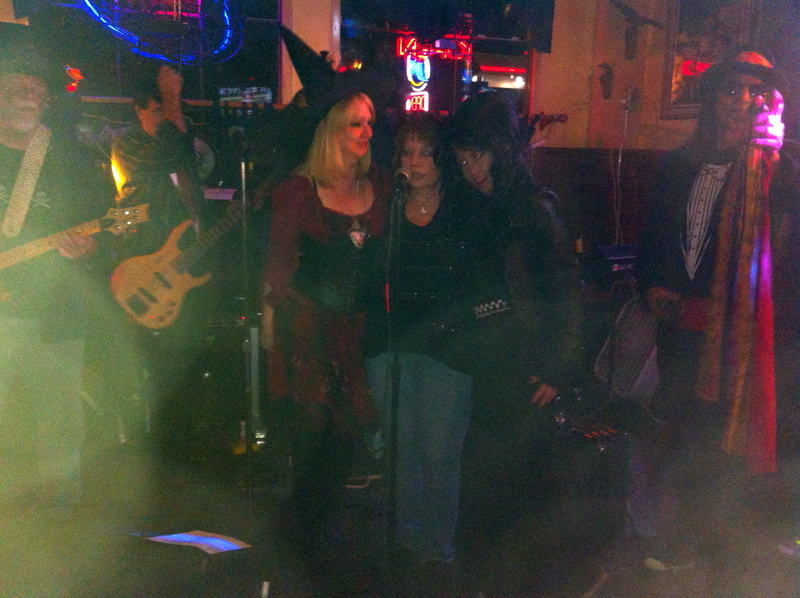 Last Halloween, at the Monster Bash hosted by a local Westport Tavern, I tried to perform an Amy Winehouse song. The Kitchen. Bar stools from early days. A topic I am not comfortable writing about… is the lives of the slaves. I’ll discuss here under working class neighborhood. Nearly every family in Westport Missouri between 1830 and 1860, had two slaves per household. I include this section as it is significant because on the map of Westport, in 1829, there are two spellings for the name Patterson; or there were two Paterson families registered living on the same land parcel. The map had the name Paterson, with one t printed in pencil. However, on all other documents regarding the land, the name Patterson, is written with two ts. The Census registers a black man, at the time as named, Paterson. The census also shows the Patterson household has eight members, with seven listed as white. Under slaves the box is left empty. The map shows a pencil drawing of a dwelling, which happens to have the shape of my two-story building. (The map is inside every book about Kansas City, or Westport- and available in real at the Missouri Valley Room). Mr. A. Patterson and his family came from St. Louis Missouri, where they lived in an area with large plantations. Patterson was also elected the Justice of Peace in Westport Kansas City in 1828. Before he died in 1930, he officially married two couples. One of those couples was the owner of a trading post. The other was the owner of a furniture store. After Mr. Patterson died, parts of his land were rented. Both a black businessman, as well as Indian, leased the land. History tells us that black men and women adopted the last names of their slave owners. Occasionally, slave owners fathered children with the slaves. Accounts of slaves during this time, like Mammy Pleasant, tell stories of her reliance on powerful men like Judges, and her time spent between adjoining plantations in Missouri. White families continued to hire full-time domestic help throughout the years of 1860 until about 1960. Many African-American blacks, at the time my house the trading post was build, were free. There may be a link between the Patterson family and the Paterson family. I would like to collaborate with someone who is an authority. A lot went on in the early days. The African-American black men and women of Westport Missouri would have had various talents, like the culinary arts, and business skills. As a slave, they may have been sold many times and with each new owner they would have learned new skills. Taverns with a reputation for having an outstanding cook, could make a fortune. The Slaves ran the kitchens, in the year 1853; the year this house was built. Freed slaves, often found themselves in position of servitude, even for a fee. It was a difficult chore for a single person to prepare meals without help. The kitchens would have consisted of an open fireplace with a huge pot hanging from a crane as the stove. The frying pans covered in suet. A pointed rod with an iron handle would be near by to hold meats over the fire. In the tavern there would have been one main open room with a fireplace at one end. That area would be known as the kitchen. During the various years, there would have been no reason to keep an employment record for someone who came to the backdoor looking for a job. Those parts of history will be lost. In addition, it is fortunate that the wooden pre-civil war saloon has survived tragedy like fire. 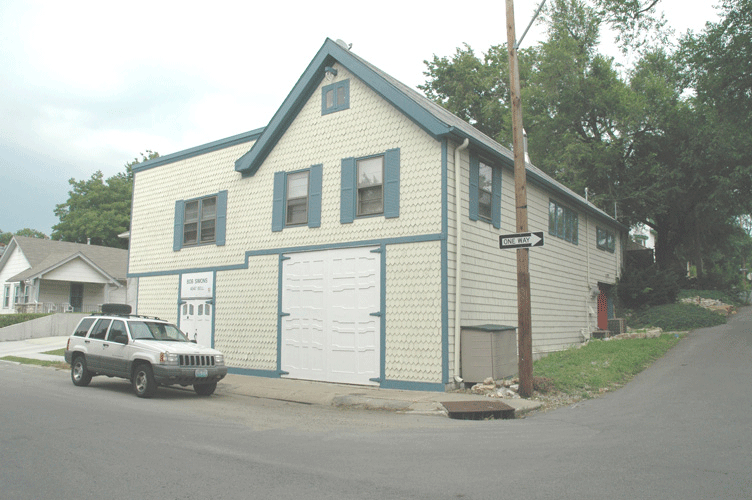 Many Westport properties were lost in those early years to fire. Missouri had both slave owners and Abolitionists. Gatherings in homes formed networks to support the antislavery movement. In 2013, a small town north of Kansas City uncovered a tunnel under their small city. The forgotten passage ran the length of the town, from the railroad station to the park. The park was once the location of a large university. I was driving through town when I noticed a commotion and stopped to hear the town gossip. No further news has been given the citizens. Such a passage could have been used for Abolition activities, also known as the Underground Railway, which provided the escape points from slavery. The kitchen today, of my home, is beautifully modern. It is my favorite part of the house. Be sure the persimmons are fully ripe. Remove from them the stalk ends and the interior calyxes. Then mash the fruit and add enough wheat bran to make stiff dough. Form the dough into thin flat cakes and bake until crisp. Then break the cakes up into clean wooden barrels and fill them with water. Set the barrels upright and cover them with thin white cloths and set them in a place which is warm and dry. 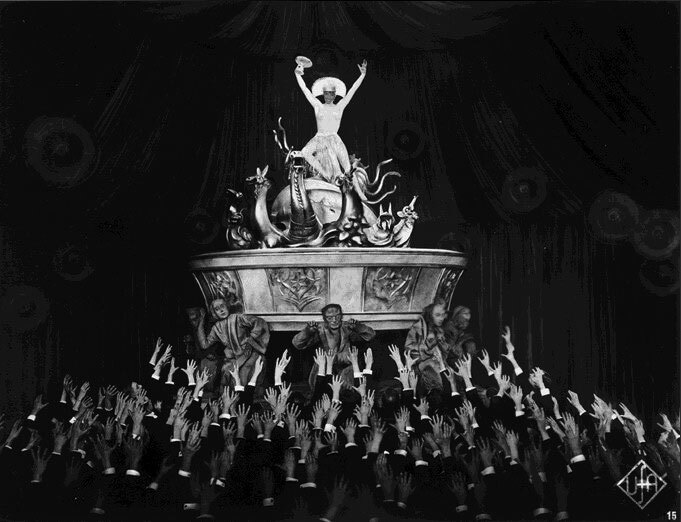 The cakes will rise to the tops and begin to foam. Three or four weeks later the barrels must then be moved to a cold place and wooden covers put on them. To make certain of success, toast dipped in yeast can be put into barrels with the persimmon cakes. The change of season may bring the blues, but the treasures within this house can almost always brighten my mood. In my bed cloths I move from room to room in this huge saloon from long ago. I carry a load of laundry through Bob’s law office. I get the load in the washer. I drop a quarter into the juke box. A 1954 Wurlitzer plays my selection, “The Lion Sleeps Tonight.” With no one in sight, I dance and sing along. 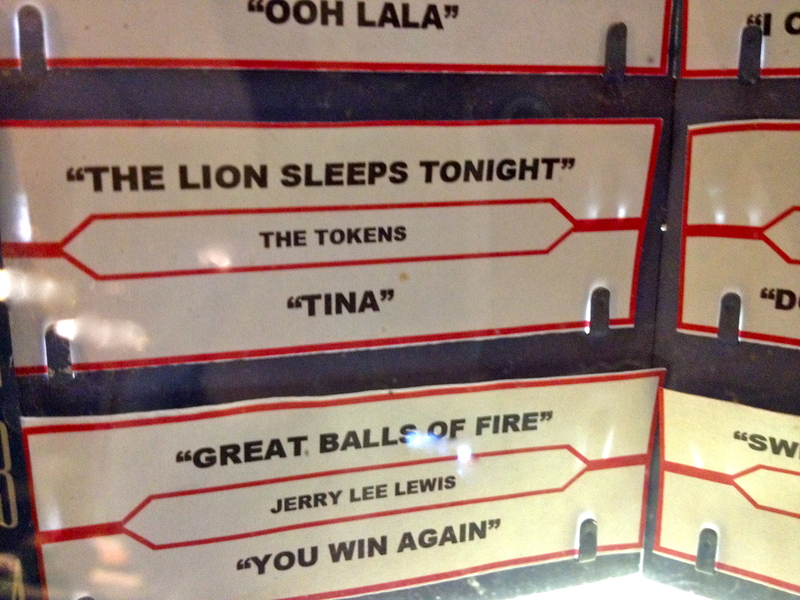 A 1954 Jukebox, left behind by, plays only 50’s tunes. It is interesting to consider which characters that may have passed through the doors of this Westport saloon, or inhabited an apartment upstairs. I truly believe that Doc Holiday, Bat Masterson, and Daniel Boone have been here. I am also convinced that Ernst Hemingway had a friend who lived here (The boy shown in the B&W picture of the tavern in 1909). The boy in the picture continued to live in this neighborhood until the age of 98. I share many of his stories in this blog. I do not remember the fellow’s name and I am not aware of his exact death (sometime in late 1990’s). If the man says he was friends with Ernst Hemingway, I see no reason why he should lie. There were lots of authors that have lived in Kansas City, he only mentioned being friends with Ernst. It is that old man’s recollection of frontiersman like Masterson and Boone that I write about. 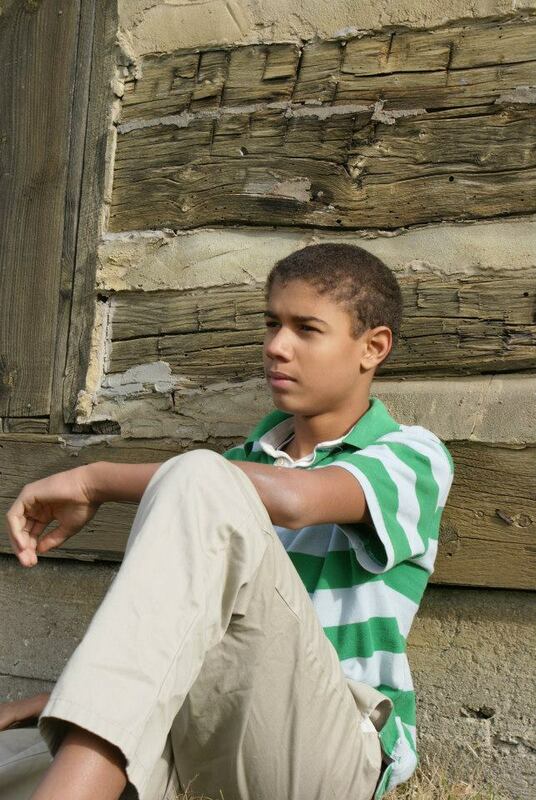 Not everything I post will be part of the book, “My House The Trading Post, Its History.” The audience for my book are my friends and children, specifically, my grandson. The earlier items I posted presented more historically accurate information directly from the history books. The historic nature of this property has not been officiated, but a line of communication has been established with the National Historic Registry Board. I know for a fact that Bob Seiger, Robin Williams, Rick Spring=+#, BB King, and a song writer guy from ABBA, John Luke Pontic, Pee Wee Herman, One of the guys from ZZ Top, Bonnie Rate and Jackson Brown, to name a few that have been here to jam. The last group of celebrities were brought here by my husband Bob, who is a musician when he isn’t practicing law. In fact, Bob claims that right after Jackson Brown jammed in the house, he wrote a hit song about a mean lawyer, shortly after his visit here. Bob says his time spent with Robin Williams the comedian, had him in hysterics; they visited the US Toy Store for Robin to get some props for his act (appearing at the Kansas City Comedy Club). There wasn’t an isle in the toy store that didn’t put Bob to tears. A private, rehearsed comedy routine, a memory trapped in Bob’s head. My husband Bob, would like to be a full-time golfer, but practicing law pays the bills. The celebrities Bob knows are still alive. I won’t be writing much about their time here, because such information could be incriminating since it was a different era when they partied here. Followers needed and random ‘likes’ appreciated, even if you can’t make a donation. 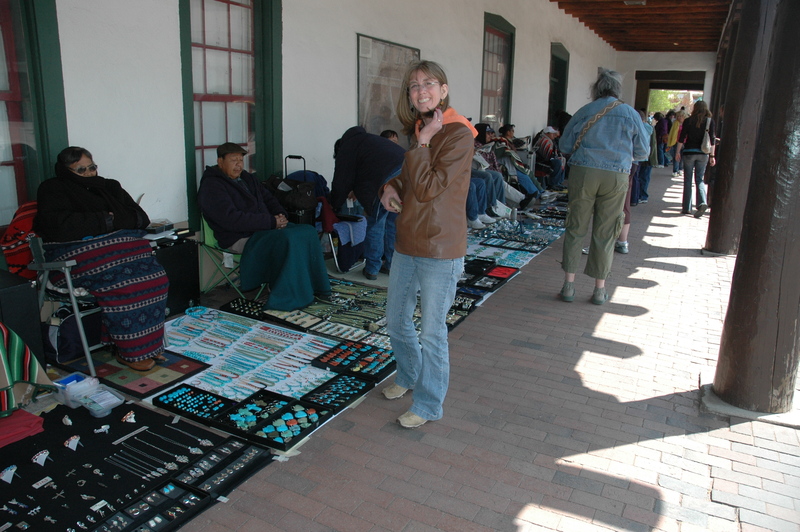 The Native Americans display their hand-made jewelry along the sidewalk in Santa Fe New Mexico. When I travel to New Mexico from Missouri, I like to imagine what the trip was like for the pioneers. However, my heart breaks when I visit the Indian reservations. I tend to buy everything they try to sell me. My house once served as a trading post, owned by a man of Native American ancestry, at the time of the Santa Fe Trail. Westport Kansas City no longer has a Native American presence. The only hunting that takes place are by the shoppers that stroll by the brick buildings with awnings and neon signs. Old Westport sign at the corner of Westport Road and the trafficway. There are no tall buildings in Westport. 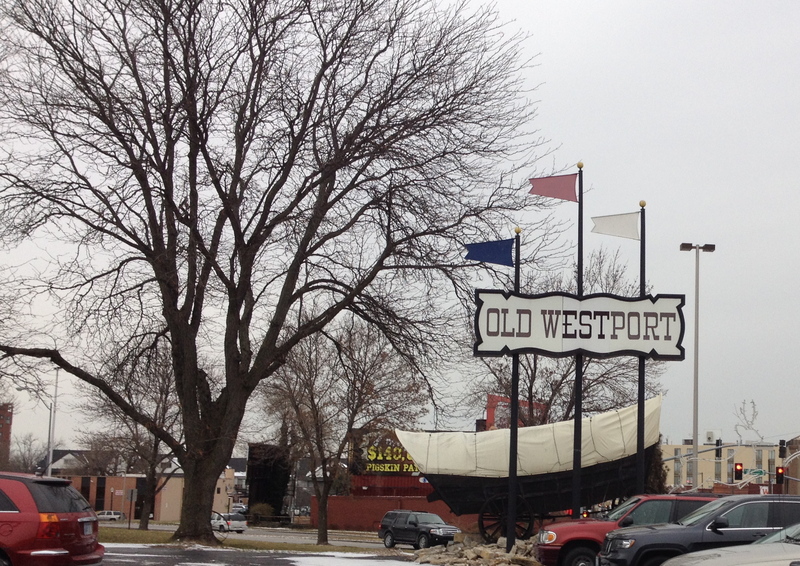 At the corner of Southwest Trafficway and Westport Road, an old wagon is preserved under the ‘Old Westport sign.’ Although, the streets are quiet during the day, the days of gun-toting renagades are not necessarily gone. I was out shopping and saw a man bend over to pick up his toddler, and out poked his hand gun. At night, sounds of emergency sirens and train whistles echo. There are occasional gun shots in the night. The police set up DUI check points at each end of Westport. 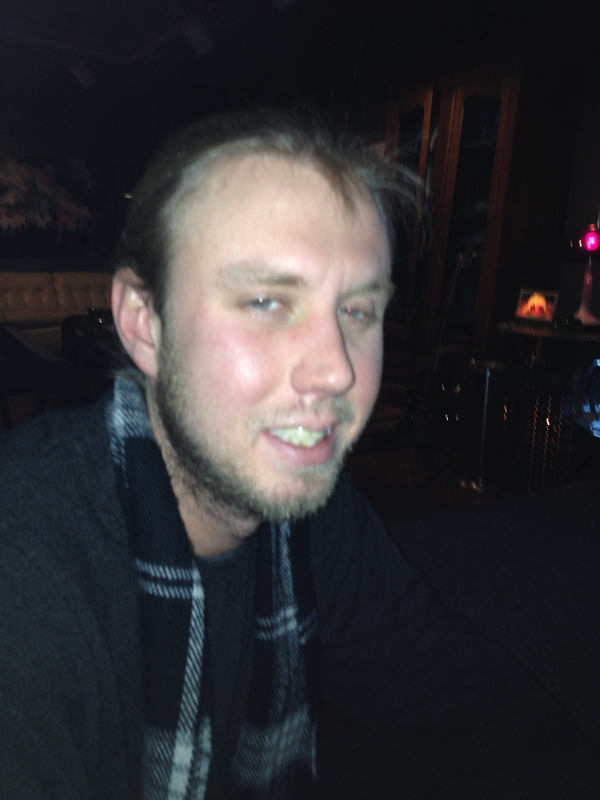 Fools like my 20 something year old son, will try to run from the cops, if under the influence. I can’t tell you how many times I’ve gone out into the night to rescue him drunk hiding in the bushes behind the Catholic Church, “Mommy, come get me.” It is hard not to help when I actually hear the police sirens in my neighborhood, and the phone rings with my only son saying the police are after him. An unarmed party boy, he will never grow up. Young people come out at night to enjoy the music and dancing at the local taverns. Most of the bars serve food, and have bands play music until close. There are taverns along Westport Road, like Kelly’s Tavern, and McCoy’s Bar and Grill, which have been here since the 1820’s. Within walking distance from me is Cupini’s, an old Italian Restaurant and Market that makes fresh pasta daily. 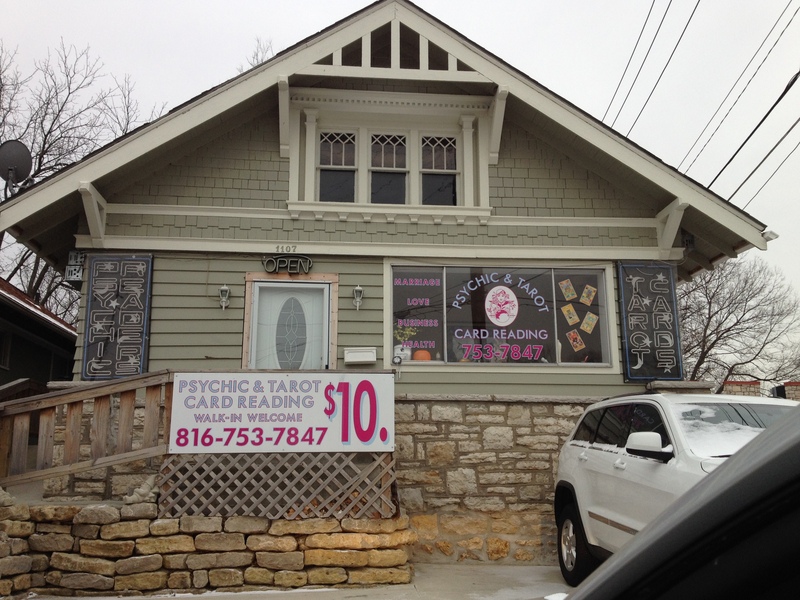 The trendy businesses are tattoo shops, psychic readers, dress stores, art gallery’s, art supplies, and antiques. There is more than one psychic in town where the future is told. From the way some of the young people dress around here, you may think there has been a zombie apocalypse. It is hard not to stare at those faces whited out and eyes lined in dark liner on both the girls and the boys. You will see guys in baggy shorts even when it snows. I recognize the face of the homeless guys that sit at the Quick Trip asking everyone passing for their change, but I don’t know them personally. I say, “hi,” but I don’t give money to strangers. 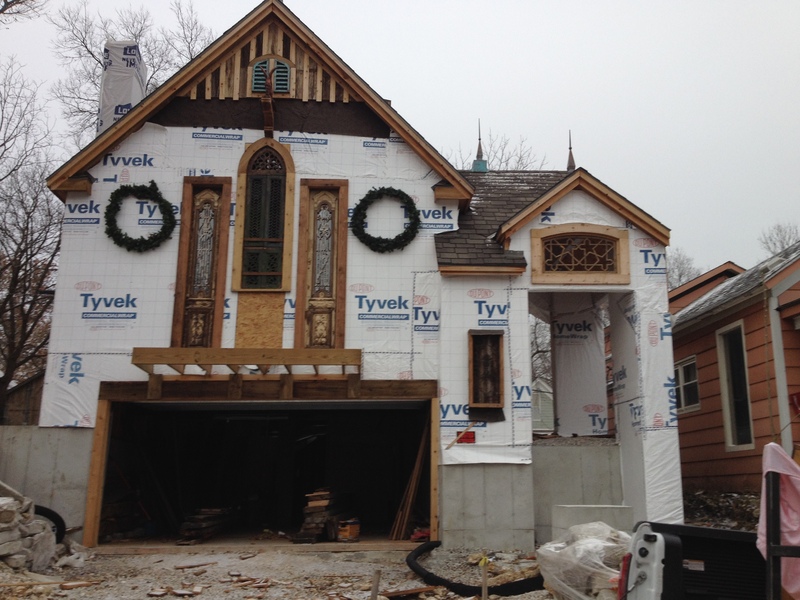 A new neighbor renovates the house several doos down. The construction doesn’t stop. On every block, a house is being renovated. The folks in the West Plaza area try to keep their properties looking good. A new neighbor, several houses down from me has been working on his place all year. Pounding of hammers and sawing, and murmurs of construction workers and then one day the imported Spanish windows arrived. I can’t wait to see what goes on next. How do you feel about work? I often feel like this old fable, The Wolf and the Crane. An English writer, named, John Ruskin, published his first novel in 1845. He gave a number of lectures and wrote some important books on art and architecture. He devoted himself to work on social problems. He suffered from bouts of madness and his writings expressed that. My private journal sometimes sound ‘like his writing rants. My psychiatrist told me to keep a journal, then she said she didn’t care what was in it, although she thought I was a good writer, the exercise wasn’t intended to be read. 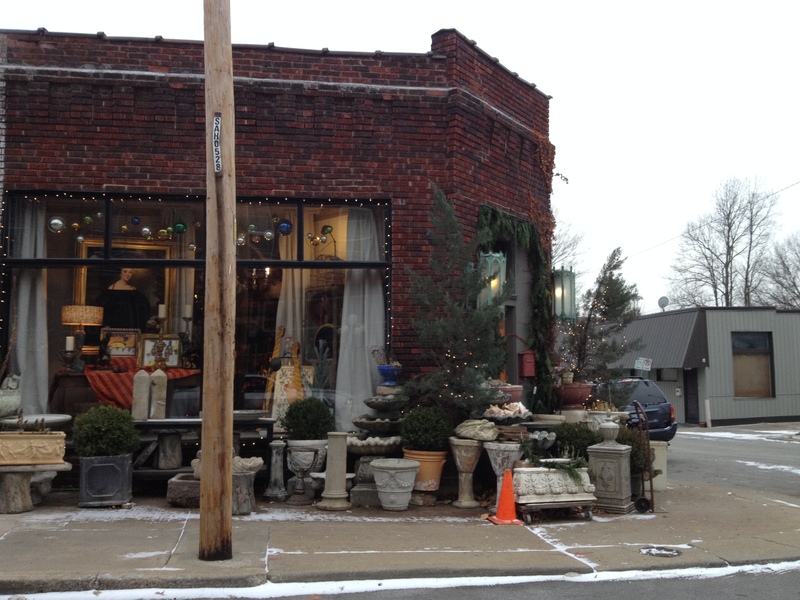 Westport Missouri, from the time it was formed until present day, has been a working class neighborhood. There is a book about the, “The Battle of Westport, Missouri’s Great Confederate Raid,” by Paul Kirkman. Wars have taken place, the burning of Mormons, the Mexican War, Civil-War, Women’s Rights and other notable history. A lot has been written on such topics, but as I read the various historic events concerning Westport Missouri, I don’t see enough written about the common working citizen of Westport. (Granted most folks don’t want anyone knowing what they are doing.) The past owners of this property were young people. This building holds the ghosts of the starter business owners. I claim its greatest contribution to history is the fact that it just exists. It has to be noted that it is a wood structure. I think it is remarkable that the building has existed this long, because of the number of wars, battles, and fires that took place, and the capitalist nature of cities to knock it down and rebuild. The history of Kansas City in my opinion, too often come from the stories of the Upper Classes. The history books all discuss the same characters, like; McCoy, McGhee, Yoacham, Boone, Ewing, Vogel, Harris, Wornall, Hickman, Thomas Hart Benten, Samuel C Roby, Henry Clay Pate. Here is a short list of who had a trading post or tavern in Wesport in the year 1845. It is important to note that this is not a complete census. The town was already, very big by the time the pre-civil war saloon, I live in, was built. The goal or lifestyle of the residents would have been work. They were young working class men and women. The first settlers, would have been in their twenties. As the town grew successful, and Kansas City, dug away the dirt and flattened the cliffs along the Missouri river, the wealthy families moved into new homes and buildings in downtown Kansas City. 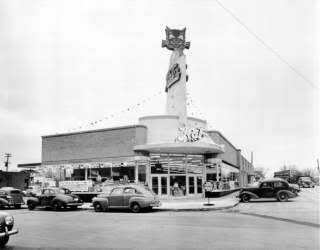 In downtown Kansas City, they established new public-houses, and built them in a wise manner, with a more expressive display of dignity for such establishments that would sale spirituous liquors. This was the nature of the city, and has been ever since. Not to be political, but with each new Mayor, Kansas City tends to invest in a new construction project, often centered on building another shopping and entertainment area, as well as new construction for residential housing communities. Problem is, we haven’t run out of land, yet. So we don’t build up, we build out. Creating older, communities that struggle for business. New city projects always bring in the new technology, however, the consumers only seek the basic needs and comforts from Kansas City, because silly, we all can’t be rich. The worker in Kansas City simply picks up his or her lunch pail and heads north, south, east, or west for twenty minutes from where ever they live, and they go to work. 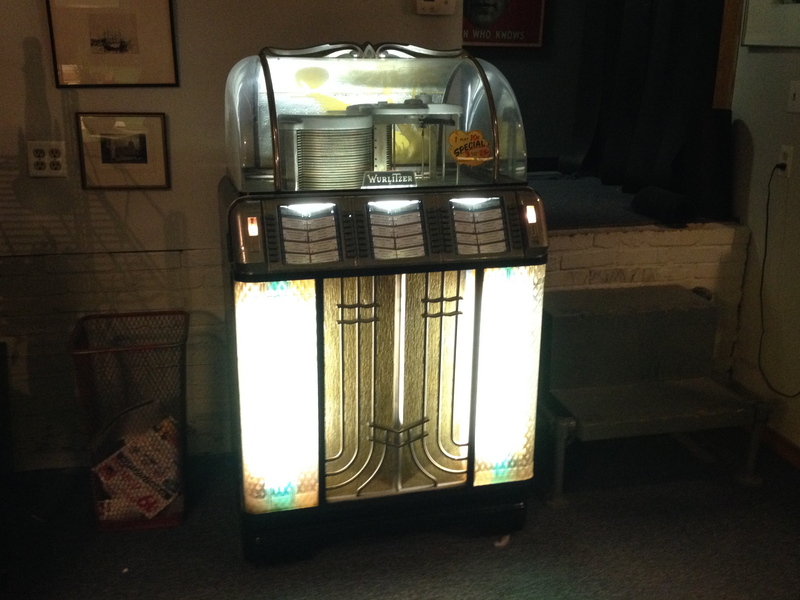 A 1954 Jukebox, plays only 50’s tunes. Antique display case, year ? The train was established in 1854, soon afterwards, parents of unwanted children started to use the train to dispose of children. “The Childrens Aid Society of New York Orphan Trains,” ran in the years 1854 to 1929. My grandmother, was one of those children. A note was pinned to a little girl’s jacket by her mother, when she was five years old, most likely anouncing her availablility to be adopted. The train traveled from junction to junction until at last it stopped for a long time. All the little boys were chosen first. She was an overlooked little girl, she traveled on the train until it ran out of tracks. She was placed on a returning train back to New York. When the train stopped at the train station, a couple decided to adopt her. The older couple had no children of their own. They had come to the train station to adopt a little boy, but they had been runnig late. Her name, Dorthy, was the only child left to pick from. It isn’t clear if their intent was to make her their scullery maid, but she spent the next ten years cleaning their house. Soon after Dorthy was adopted, Mrs. Brandt had a child of her own, a son. A year later, the Brandt’s had a daughter. Dorthy’s chores increased with her new bother and sister. The Brandt’s were a wealthy German family, at the turn of the Century. Mr. Brandt, is known for his architechture. 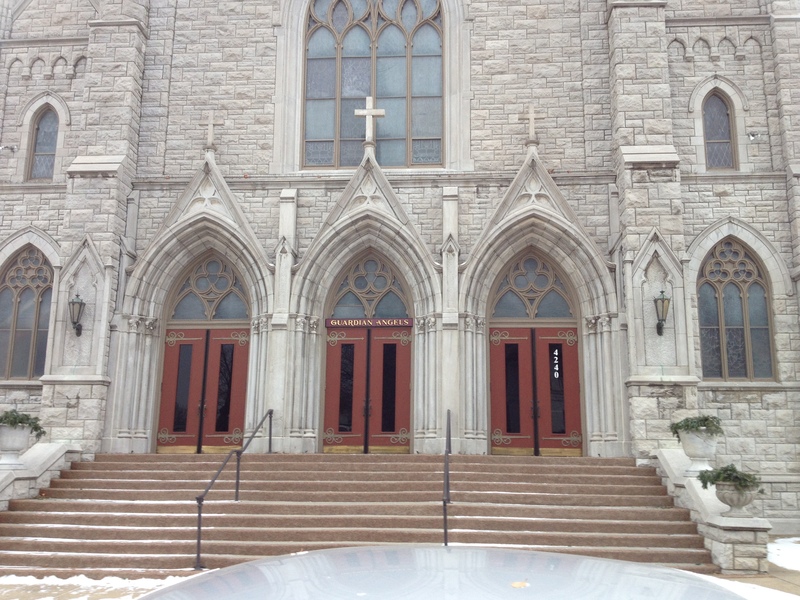 There are several historic homes and apartment buildings that give credit to him in the Chicagoland area. However, the Will that he and his wife bequeathed, left out their adopted daughter, Dorthy. All their wealth, went to her brother and sister, natural born heirs. Dorthy, passed away years ago, during the Thanksgiving holidays, in a nursing home north of Kansas City. She had just moved into the nursing home due to a colon problem. She got the opportunity to meet her real mother in the 1960’s. It was a surprise to find out that her mother was a Pennsylvania Amish woman, who had gotten pregnant by an ‘English’ man. Apparently, the young Amish woman and the ‘English’ man, did not stay together. The Amish woman tried to care for her twin children for as long as she could. She had placed the children on the train, in about the year 1910, when they were just five years-old. As the old Amish woman spoke to Dorthy, she remembered she had a twin brother. Her twin later contacted her, after their mother who abandoned him, located him living on a farm in Illinois. He’d been adopted by an Iowa farm family, who were very kind to him. After he inherited the family farm, he bought a bigger farm in Illinois, where he retired and passed away in the same year Dorthy passed. By 1870, the railroad industry had become a monopoly as it was the life blood of American commerce. After, competing railroad companies layed duplicate tracks to do business in the popular cities, the railroad companies realized merging operations would increase profits. The railroads were allowed to exist as a “natural monoply” because multiple companies would be a waste of financial and material resources. The train slowed the amount of business Westport once saw. Hunters no longer needed trading posts. Wagon trains were obsolete like the need for a place to quinch your thirst after traveling the dusty trail. Union Station became the hub for business travel and pleasure adventures. Ernst Hemingway arrived in Kansas City by train. Hemingway came to Kansas City when he was 17 years old. It was in October of 1917. Ernst’s brother had gotten him a job at the Kansas City Star as a cub reporter. His brother Tyler Hemingway was living in Kansas City and had a friend who was the Star’s chief editorial writer. Although, Hemingway only stayed in town for six months, Kansas City likes to take credit for being mentioned in 5 of his novels, 4 published sketches, and dozens of short stories. He reported on the activities at Union Station. The train station had people coming and going. This is where he got introduced to ‘shady characters’ and celebrities. His story, In Our Time, resembles the work he did for the Star. Another one of his passages describing Kansas City is found in, God Rest Ye Merry Gentlemen. The fact that he writes about the Woolfe Brother’s Saloon has never been related to my house, a Westport Saloon, but it should. The owner of my house in 1917, had a nephew staying here who was friends with Hemingway. The two of them got drunk frequently, it was his secret hide away from the adults and associates of the Kansas City Star. Westport has always been the part of town that would have attracted a young man who wanted to hang out with creative individuals, drink, and party. Kansas City is mentioned in many of Hemingway’s writings. He continued to visit Kansas City over his life. He even had several children born in the hospital in Kansas City. Most likely Truman Medical Center, he describes it in his writings as the hospital on the hill down from Union Station. Bat Masterson, was a sheriff and notable figure of the American Old West, best known as a gambler, at the trading post I call home. William Barclay Masterson or “Bat”, was also a buffalo hunter and sports editor and columnist for the New York Morning Telegraph. The Sheriff ‘Bat,’ is a legend, and I believe he made his way to this establishment, in his day. It is towns, like Westport (Kansas City), where gun-toting gamblers, like Bat, had a good time. The gentleman, that once worked here at the turn of the Century, told Bob his tales, I am passing on. Bat was indeed a gambler, and that is what was popular at the Saloon at the edge of town. The road in front of my house, the trading post, is a direct access route to Kansas, for a cowboy buffalo hunter, like Bat Masterson. The old Westport tavern, I live in, was suspected of selling whiskey to the Indians and held many heated poker games. It may be his connection to the newspapers and law that “Bat” was able to gamble in a joint like this Old Westport Trading Post and Tavern. Bat lived between 1853 and 1921. He died in New York, however, he has been held a hero in these parts (in Kansas and the Missouri Town Westport). History says that Bat Masterson survived a gun shot to his pelvis and that he walked with a cane. Wikipedia is quoted as saying the story that he had to carry a cane for the rest of his life as a result of this injury was highly perpetuated by the television series, called, “Bat Masterson,” (Gene Barry played Bat.) 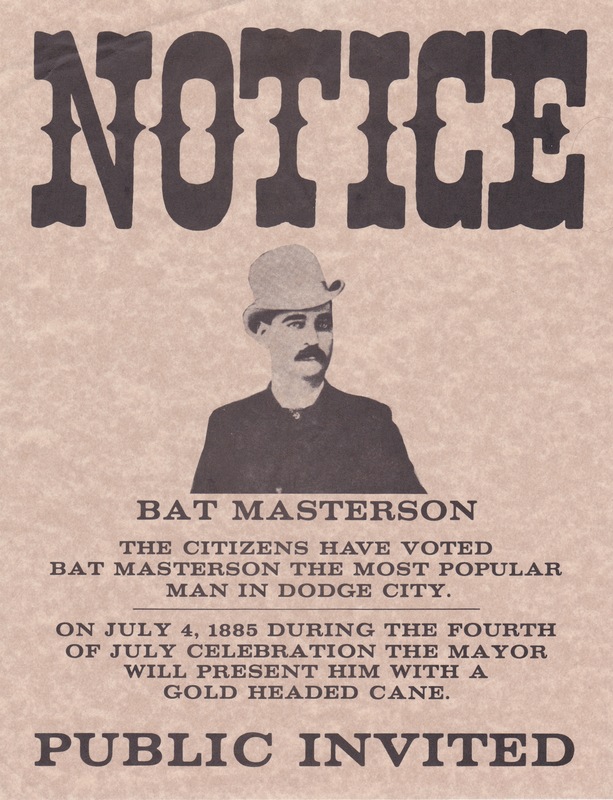 The fact is, Dodge City, Kansas Mayor of 1885, presented Mr. Masterson a gold-headed cane, to honor his service to the city. Bat worked alongside Wyatt Earp, as deputy sheriff in Dodge City, capturing train robbers. I wish I were a better writer so that I could better describe the look on Pearlean’s face, the employee (of fifteen years) at the Recorder of Deeds, every time we came across a document concerning my house that was tampered with or missing. The research on my house, dating back to 1850, has a few broken paper trails and paths uncovered. Men, who had a foot on both sides of the law, like Bat Masterson, may have helped conceal the activities of an old west saloon like my house. A discussion with the library staff of the Missouri Valley Room, indicates that the Patterson widow may have left the Kansas City area during the years her land inheritance case was being considered by the court. During this time, the Patterson family allowed others to rent pieces of her land. 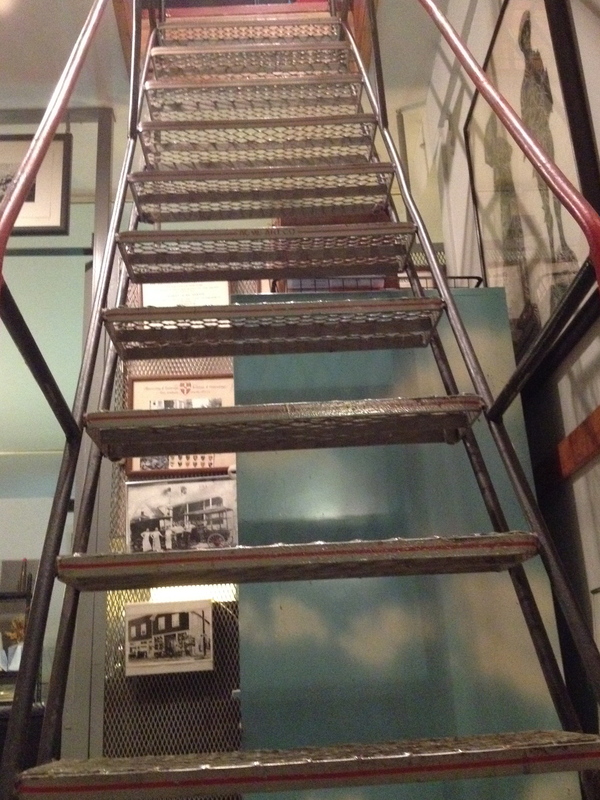 There were several buildings in the late 1800’s, which were sold and moved to other locations. Once source, leads me to believe, that my house was operated by an Indian man. He moved his wooden establishment, (a government-funded trading post). Which would fit the story of this place being moved, by mules, and repositioned to be closer to the road. Another source of further investigation makes the assumption that the house may have actually been the Patterson’s original house. I will be sharing more, as I learn more about the structure, and the inhabitants. The pioneer woman, like her husband, was not lacking in energy. “Young wives, mothers, and housekeepers, had come, with their husbands to carve out for themselves and their children a home in the unbroken forest and wide prairies of the west.” My house was once part of the Patterson farm, in Westport Missouri, a town formed in 1820. At my house, the trading post, thousands of travelers have passed by, and stopped in to quench their thirst or talk about town gossip. Making conversation was part of the fun and adventure. Once upon a time in a place called Westport, in the State of Missouri there lived a beautiful girl, named Liz. She had been orphaned at birth, when her mother passed away from a fever. Her father was a brave Frenchman and fur trapper who was too busy for her, as he often traveled with explorers into Indian Territory as an interpreter. Her mother, who had both Shoshone Indian and Hidatsa, also had French blood, traveled with her husband interpreting and making peace with the Indians. Her mother was a notable figure, her presence often kept war from breaking out between the early settlers and the wild savages. Her Indian mother died leaving, Liz and her brother, four years older. After the death of her mother, in 1812, Liz and her brother had been adopted by one of the men that her father worked for. 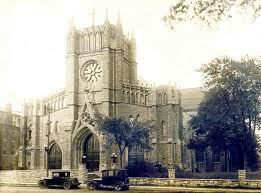 Mainly, because, the gentleman had grown fond of her brother and wished to educated him in St. Louis. However, the man, his name being, Mr. Clark, already had children of his own. The Clark’s lived on a large wealthy farm in St Louis with many slaves. That is where Liz, found someone to look after her, a slave mother. Mrs. Clark was not interested in looking after her own children much less the child of an Indian woman. Mrs. Clark had spent most of her time married to an absent husband. It was Mr. Clark’s job to map trails, establish trading posts, and inspire folks to purchase the new territories. When Liz was 5, her Brother Jean, went to school in Europe, prior to that, when he could, he would play with Liz in the open fields of their St. Louis, Missouri home. However, tragedy came again, when Mrs. Clark passed away. Liz was lost in the crowd. She was not a member of the family, like her brother Jean. Her father, the fur trapper, while still alive and well, did not live in St. Louis, he continued to be an interpreter and hunter. Liz never thought about him, she never knew him; although she never thought of Mr. Clark as a father either, nor did she consider Mrs. Clark her mother. Liz stood beside her husband to be, wearing a black dress with a small trim of lace around the collar. It had been brought to Westport from Europe by her brother, Jean. Jean had followed in his French father’s footsteps in being a traveler and interpreter. On his way to Ohio, he stopped off in Westport to attend the wedding of his sister. This would be the last time they would ever see each other. In front of Mr. Andrew P. Patterson, elected Justice of the Peace, of Westport, Missouri, the couple stood taking the vows of marriage. Her husband, was a strapping, young man from the Wyandotte tribe, who worked for the Kansas Agency in Westport Missouri, a government-funded trading post. 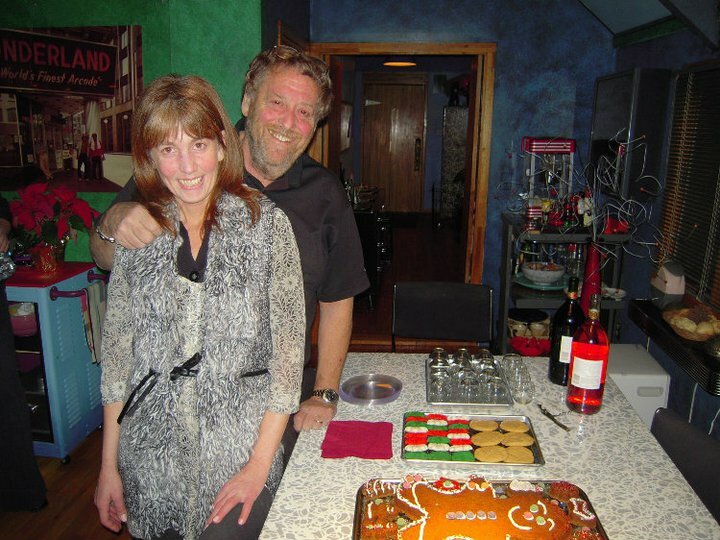 He had met Liz at the Patterson’s home. Liz had lived with them since she was five years old. The year Mr. Clark introduced the distinguished men of St Louis to his exposition papers and convinced Mr. Patterson into investing in a tract of land in Westport. Liz, at seventeen years old, was younger than the other married girls in town. In 1829, the average age for getting married was at the age of 20. Her husband to be, was 28 years old. She didn’t know what love was, but she wanted the opportunity to find out. Her childhood memories where that of servitude, as she became the scullery maid from the moment she moved into the Patterson’s St. Louis home. The fact that they moved her to Westport, with them, concerned her. She felt hopeless until this day, her wedding. The man she would marry had just as much of a mixed up heritage as she did. He had been to Europe and done much traveling by the age of 28. He may have had a mix of free-black blood, Indian blood, and French. He was well-educated, and was successful because of his ability to communicate with the Indians. The Census of 1830, documented him as the only Indian Man in town. However, fine gentlemen, like Chouteau, Vogel, and other Frenchman, in town, respected this man, as any other, white man. Mr. Patterson, and John McCoy, the older generation of Westport were no exception. He carried himself with dignity. He settled in Westport, because he was not fond of wilderness travel. And found the Indians of Missouri and Kansas, at the time, to be very easy to work with. He was a valuable interpreter. Running the trading post in town was about as much wilderness as he wanted. With his new wife, he would be able to build on to his business. The American pioneer woman was treated like a fellow worker who often took second place to the men in the family. 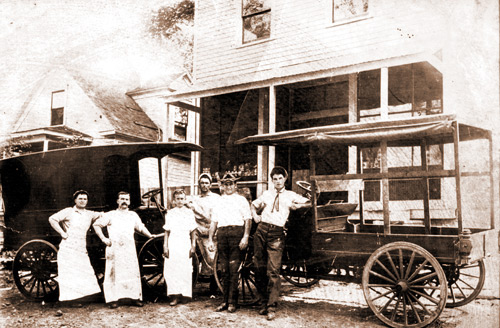 When the Patterson family came to the Westport area, husband and wife, brothers and sisters, all worked in an unfamiliar hostile environment where the trees needed to be removed, their two-story home would have to be built, and all the while the men would carry on with wars, disputes, and fights. Flash floods or fires were also a threat. It wasn’t until her wedding, as Liz saw Racheal Patterson in the corner of her eye, did she realize the women who taught her household duties of every sort and how to sew, was her friend. The woman formed bonds of friendship that boast loyalty and companionship. The people from Westport and Independence were in constant contact with one another. Close relationships with families in the St. Louis community were common. Many of these women started to organize official groups, and keep written records of their contributions. In 1870, a small group of women formed a philanthropic social group and purchased a building in downtown Kansas City, just to hold meetings, after their membership grew. Women had the right to own property, run businesses, and make leaps in the years following. The social clubs formed by women were prosperous over the years. These women formed orphanages, schools, brought art and literary opportunities to the community, and constantly improved with current events. The Native Americans, were being pushed west into settlements between 1830 and 1890. The Kickapoo Indian were moved from Wisconsin to Kansas in 1830, while the Iowa Indians were being pushed out of Illinois. The town of Westport Missouri started to grow even faster between 1854 and 1861 when the Kansas region was opened for white settlements. The country established the railroad in 1854 and a new chapter begins. 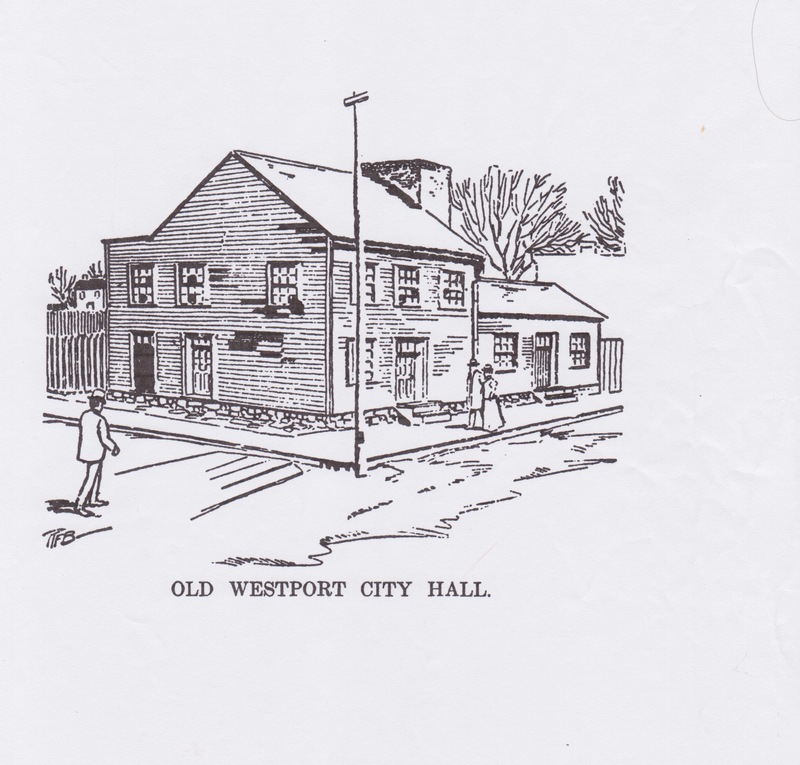 The Old Westport City Hall. Andrew P. Patterson was elected Westport Justice of the Peace, and served from 1828-1830.